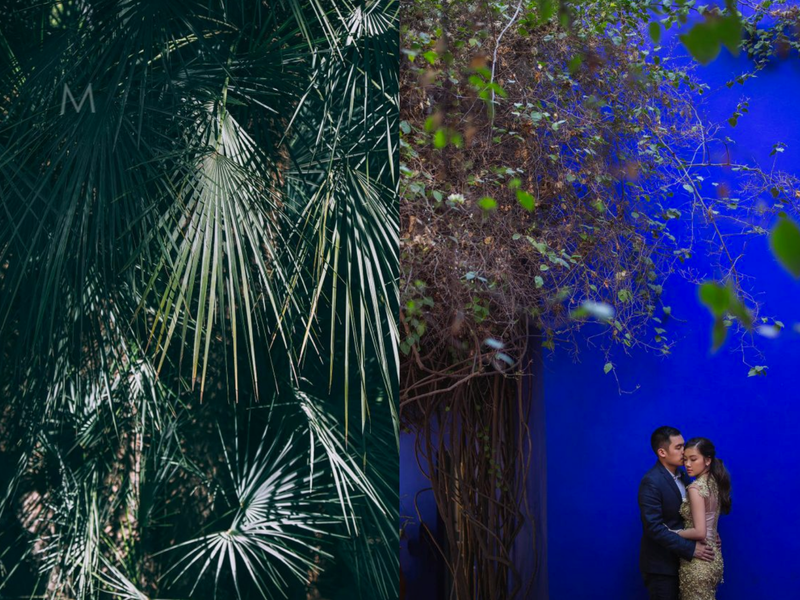 It's hard to find a wedding photographer with the same level of thirst for creativity and passion quite like Metrophoto's Oly Ruiz. He and his team have elevated engagement photo shoots (among many other things) to greater heights. 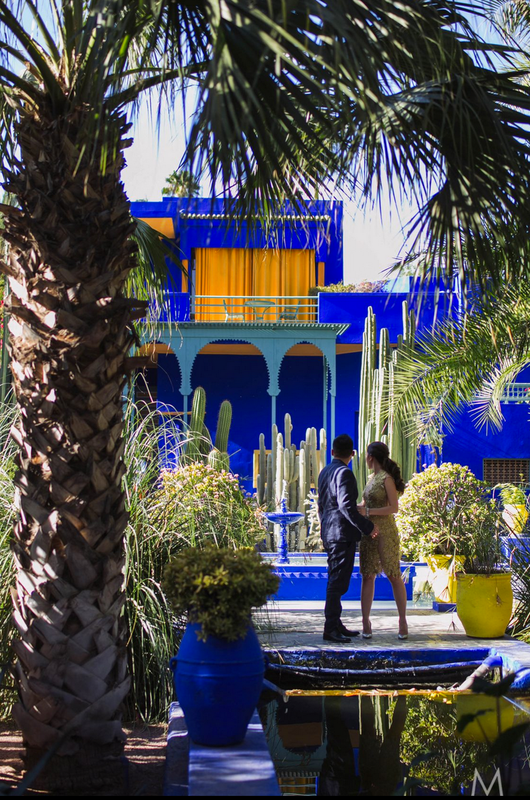 World-class is an understatement, as engagement photos in other countries cannot even begin to compare to his work--especially the travel-based engagement shoots that he is now so famous for. So you could say, he is in a whole new class of his own. 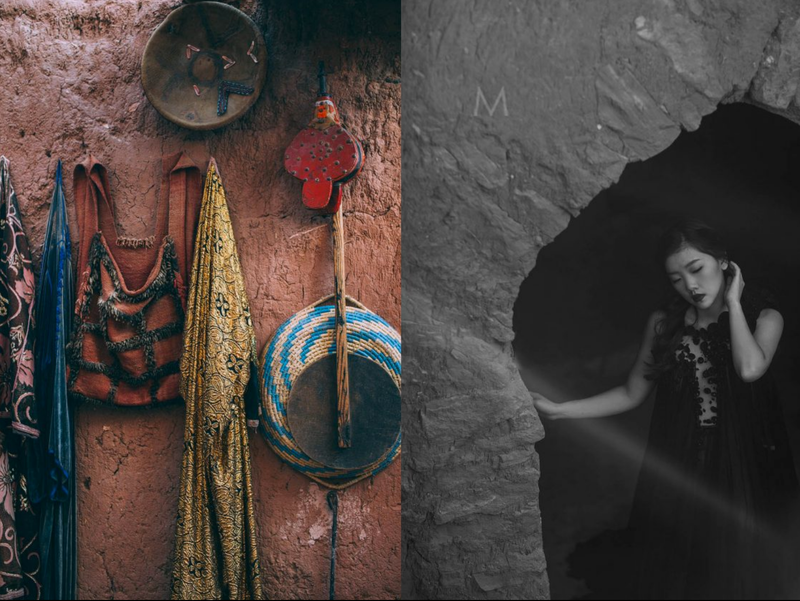 In Aileen and Kevin's engagement session, we are transported to a magical, mystical, and romantic adventure all over Morocco. And we loved every minute of it. from Oly Ruiz on Vimeo. 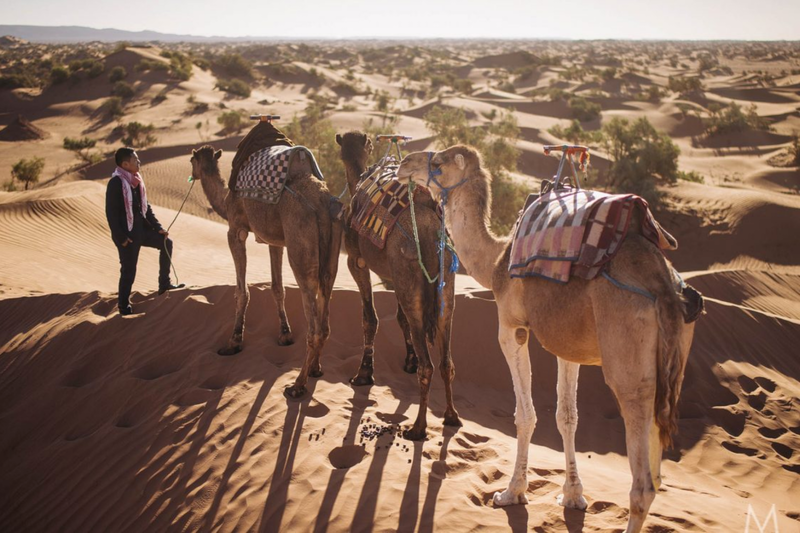 Morocco has captivated many movies that were filmed here such as Gladiator, Kingdom of Heaven and the most-awesome American fantasy-drama series, Game of Thrones. 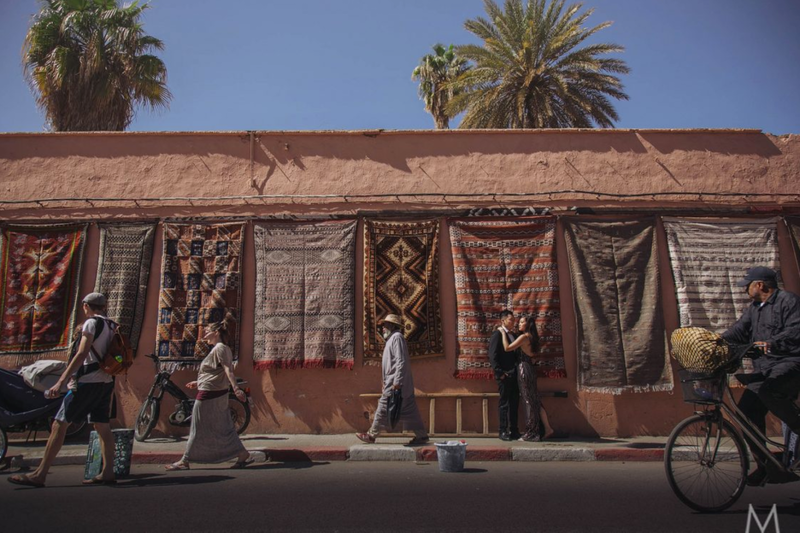 We always make it a point to come up with the most unique and elegant photographs, and Morocco simply served that to us in a silver platter – well almost. Despite being one of the most picturesque locations in the world, Marrakech is also one of the most strict when in comes to photoshoots. Right off the bat or should I say, at the airport, my drone was confiscated and this was a first of many encounters we had where either our portable lights were not allowed or even our DSLR cameras. Everything in Morocco is attractively unusual. Aileen and Kevin poised their first photoshoot at the Menara Garden, a great landscape lined with olive trees. The background is a large pond at the foot of a pavilion that serves as a water reservoir of the city to irrigate crops. We didn’t waste time and they bravely climbed on top of The Koutoubia Mosque right away. And within a couple of minutes, someone was already asking us to get them to go down. After the garden, we used the natural setting of the city with its market and the restaurants around it – if you watched the movie Allied then that is where the place took you. We got into a little discourse with the security people at the Bahia Palace because as we already expected, they didn’t want the lights and cameras brought in. This was the location when I had to improvise, so I borrowed a point and shoot camera from the Aileen’s sister – a point and shoot! Amazingly, with very little instructions Aileen and Kevin immaculately graced the pristine palace of Bahia, adorned with its fascinating architecture and ceilings. It is completely a gem of experience and I love how the couple made the most out of the situation. From Marrakesh, we headed to the Atlas Mountain for a quick shoot and then traversed the endless-like roads to Sahara for 12 hours long. It was scenic but time consuming; there are just too many things to do. We again had to improvise when it comes to time management so we maximized the day trip on a spontaneous photoshoot which included the one in the Draa Valley that has thousands of years’ history. This was once a shelter of the ancestors the Moroccans or the “Berbers” and still now their living oasis. We were supposed to arrive before sunset at the Sahara Desert but by nightfall we were still on the road. It was pitch black when we arrived at the Bur-Bur camp in the desert. 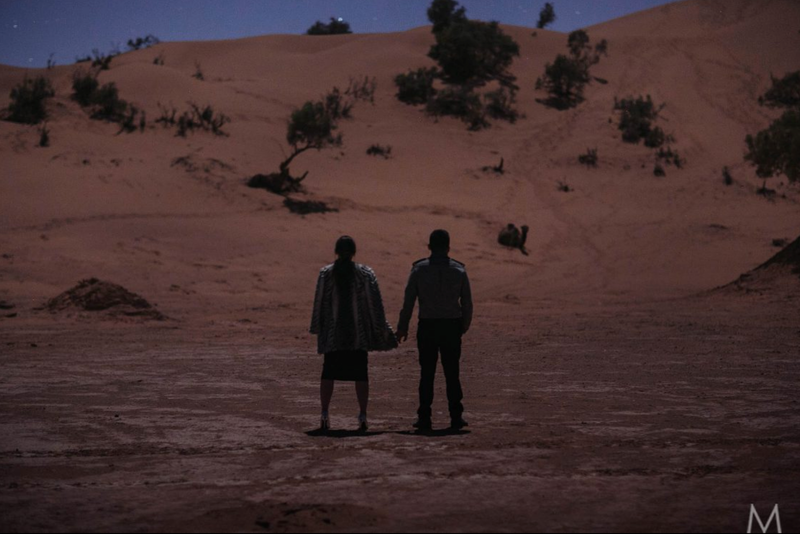 It felt like we’re in the ancient Arabian nights – there was no electricity and water but that didn’t stop us to take more photos, I was actually inspired to do a night desert shoot instead. We had a few of shots around the tents and a bonfire and the moon provided amazing mood lights for the shoot. 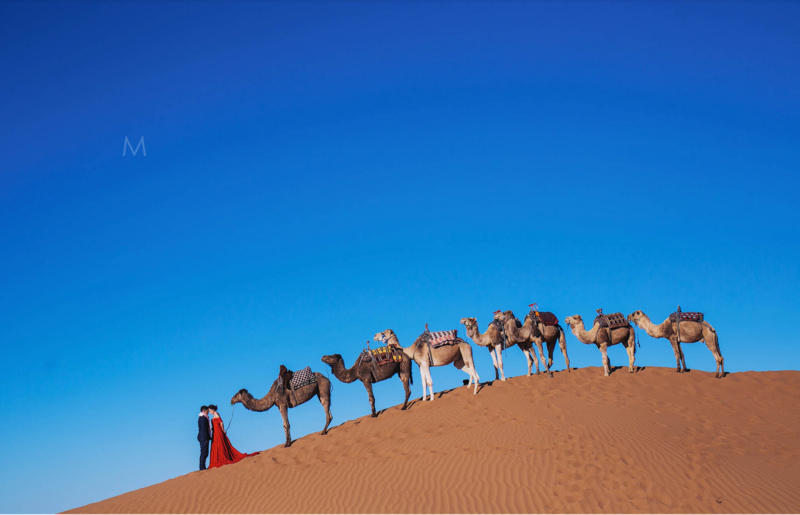 Now the most “ethereal” part of our journey is the shoot the next day with the camels in the middle of the desert – which was extremely stunning despite of the heat. Aileen and Kevin marked their every step on the sand with grace and passion as seen on the photos and I couldn’t be prouder of them. It was like movie magic but everything is just happening in the raw right before our eyes. The last stop of the photoshoot was at Ait Benhaddou where we capped one stunning location after another. I adore Aileen and Kevin’s enthusiasm and go-get-it attitude, they didn’t let any setbacks affect us negatively but rather used them to push further. They were both amazing and that made the Morocco shoot truly one of the best I ever had in terms of experience and photographs. Shukraan jazilaan! to both Aileen and Kevin for making such a once-in-a-lifetime experience not just possible but extremely meaningful as well. Special thanks to Anthea Bueno and Ethan David for being with in the shoot and making sure that Aileen always look gorgeous. Sidney Yap for styling both Aileen and Kevin and Francis Libiran for Aileen’s Gowns. Of course to Sach Mhir for being our go-to person for almost everything.